The Sillars Orchestra plays a wide range of great works, predominantly “light music”, and we play every piece in the belief that the musical experience should be enjoyable. We offer every amateur musician who seeks the opportunity for self improvement the chance to play their chosen instrument in a fun and sociable setting. The orchestra is formed of string, woodwind, brass and percussion. 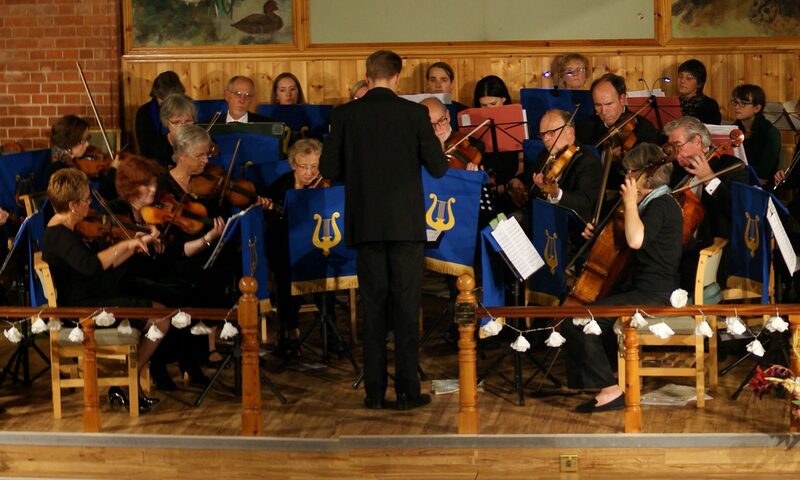 If you are an amateur player of orchestral instrument and think you might be interested in joining us it is well worth making contact to see if we have, or are likely to have, any suitable vacancies. Maybe you are just thinking about the possibilities but would like to ask some questions? Maybe you play an instrument that is not currently listed on our vacancies page? Why not contact us? We are therefore able to offer playing opportunities to players of violin, viola, violoncello (cello), double bass, flute, oboe, clarinet, bassoon, french horn, trumpet, trombone, and percussion as vacancies occur, so it is always worth checking with our Membership Secretary, Mary Thrower. 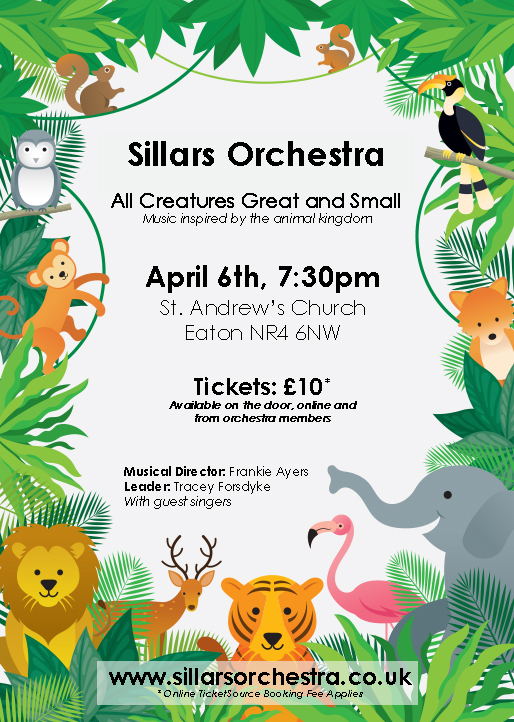 The Sillars Orchestra will performing music related to the animal kingdom. Saturday 6th April, 2019 at 7:30pm. Tickets for the concert are £10 each. Subject to network availability, tickets can be purchased on the door via iZettle, using credit / debit cards, contactless and with Apple or Android Pay. Of course, with cash too! Keep an eye on our Concerts page for details of our upcoming concerts. * Please note that tickets bought online or through the box office are subject to a booking fee. Fundraising for a worthy cause? Or any event for which an orchestra would be suitable? If ‘Yes’ then please contact our Concert Secretary, Beverley McInnes (see contact page). The orchestra complements its non-audition policy by an atmosphere of friendship and mutual support amongst the members. This contributes directly to a continuously improving performance standard. The elected committee which adminsters the orchestra encourages our friendly atmosphere policy and, amongst all other things, vets and appoints our Conductor & Musical Director. Funding comes entirely from concerts, and membership subscriptions. Subscriptions are around £2 a week and payable annually, termly or monthly, (pro rata for new members). Installments can be arranged for members in financial difficulty.